This is post #2 for the World Building blogfest hosted by Sharon Bayliss. Today I'll be discussing history of the three major countries in the world of Elemental Attraction, and the political structure of each country. I colored the map from yesterday to better illustrate the borders in the past mentioned in the stories and the current borders. As I mentioned yesterday, there are three major countries in Water Waltz and Fire Tango, but there a time when Bretagne did not have as much land as it does now. Loire was once under Spezia rule and devils lived there. Now it's a city under Bretagne, but both devils and demons call it home. It's only the only region known to have demons with a bond with the earth element. Bretagne also pushed back the border between them and the devils when taking Loire. 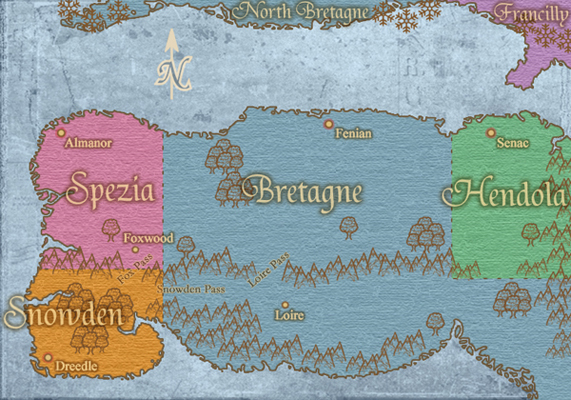 The current map (bottom) display just how far Bretagne has expanded its borders. It's not hard to understand why Spezia and Hendola would hold a grudge and both races have a strong dislike for both demons and angels. Without firearms, demons from Bretagne hold all the power. The demons with elemental bonds fought the prior wars and decimated the devils and human armies. In Water Waltz that power is tested and proven futile for what the future of human technology has in store. The political structure are different for each country. I'll do a quick over view of the basics to keep it simple. The royal family in Spezia passes leadership to the first-born son if married at the time of the king's death. If the eldest is single, the crown passes onto the son who is married. Fire Tango visits this tradition when the leads travel to the devil country. With devils, they see and sleep with many others (often at once) until finding one they love and beginning a lifelong marriage. This tradition ensures the son has settled down from courtship so he may run the country without distraction. There's also a king in Hendola. The crown passes to the eldest son without another tradition added to the mix. This comes into play in Water Waltz when a murderous plot threatens the quiet life of Varun and Triste. Bretagne is a bit more complicated with layers of leadership voted in by the citizens. At the top of power is the Head of State. Directly below him is the Chancellor, followed by the Vice-Chancellor. The Chancellor is a character in Water Waltz who goes to Varun for help sniffing out a murderer. Their power is vast but for a limited amount of years. Snowden is there in the corner being secretive. Faeries are ruled by a single family, but their country has not made an appearance in Elemental Attraction yet. If you're curious about the world of Elemental Attraction, I've written a few posts about the location names (and why I picked them) and character names. Wow! That is some world you have there. How many books will there be to complete the story arc? Or are the books related but not sequels? Each book has its own story arc, and the overall world plot unravels a bit more in each book. 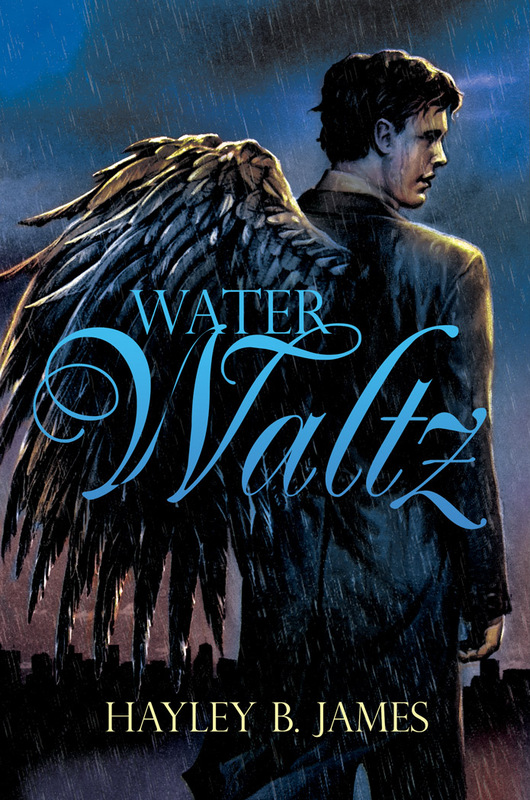 Water Waltz starts the journey, and the secondary characters take over as leads in the sequel, Fire Tango. 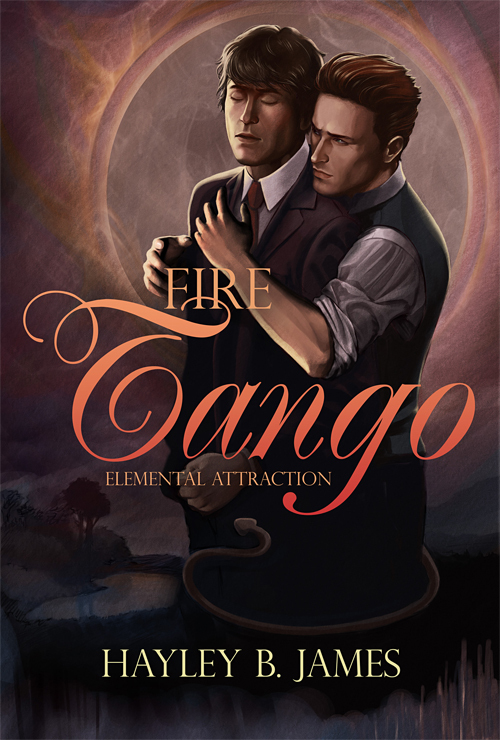 The secondary characters in Fire Tango are the leads in the third book, and so on. I have five books planned to get through the romances for characters and the world plot, but I haven't written it yet lol.